Carbon fiber cloth reinforcement technology is the use of carbon fiber cloth and special structural adhesive to strengthen the construction of the components, the use of carbon fiber cloth technology strength is about 10 times the ordinary steel grade two. It has the advantages of high strength, light weight, corrosion resistance and durability. The thickness is only about 2mm, and the cross section of the component is not increased, so that the carbon fiber cloth can work together with the original component. According to the different raw materials and production methods, carbon fiber can be divided into polyacrylonitrile (PAN) - based carbon fiber and pitch - based carbon fiber. Carbon fiber products include PAN based carbon fiber (high strength) and pitch based carbon fiber (high elasticity). Different types of resin can also be used to ensure that they have a good penetration of concrete, such as the bottom coating resin; as well as the carbon fiber sheet and concrete structure of the bonding effect, such as epoxy resin, etc..
Only rely on the carbon fiber sheet itself does not give full play to its strong mechanical properties and excellent durability, only the carbon fiber sheet is adhered to the surface of reinforced concrete structure and closely together composed by epoxy resin, in order to achieve the purpose of reinforcement. Therefore, the performance of epoxy resin is one of the important key. Epoxy resins have different properties because of different types. Three kinds of epoxy resins are used in the carbon fiber sheet, such as bottom coating, putty and impregnating adhesive resin. The purpose of the above three kinds of epoxy resins are different, and their physical properties are not the same. The primer must have the mechanical properties of the load on the concrete surface to the carbon fiber sheet. 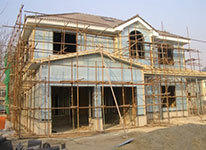 Therefore, the adhesive strength is the important basis for the establishment of its physical properties. The putty is used to fill the small defects on the concrete. 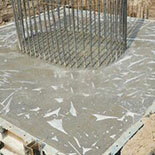 Therefore, it is necessary to have the same compressive strength as concrete. In addition, it is also required to have a higher compressive modulus of elasticity. According to the above reasons, the formulation of the physical properties of the putty is mainly based on its compressive strength and compressive modulus of elasticity. We have excellent products, perfect service, reliable reputation, for your career success to help, we sincerely welcome all colleagues to discuss business!